Why Not a Domestic Guestworker Program? Why isn't there a domestic equivalent of the H-2B foreign guestworker program? What would such a program look like? The H-2B visa program allows employers to hire foreign guestworkers for non-agricultural low-skilled jobs. USCIS maintains that an employer must demonstrate that "there are not enough U.S. workers who are able, willing, qualified, and available to do the temporary work" and that "[their] need for the prospective worker's services or labor is temporary, regardless of whether the underlying job can be described as temporary." Importantly, employers have to show that "employing H-2B workers will not adversely affect the wages and working conditions of similarly employed U.S. workers." H-2B guestworkers directly compete with poorly educated, low-skilled Americans for jobs. H-2B guestworkers fill jobs that otherwise would go to Americans with a similar education and skill profile. Unfortunately, some employers accept as truth the harmful stereotype that American workers are "lazy". Studies show that it is cheaper to employ a guestworker for a short, seasonal work period than it is to hire an American full-time. The popularity of the H-2B program can be measured by looking at how many positions are certified by the Department of Labor each year as H-2B-ready. In 2013, over 82,000 positions were certified by DOL to be filled by guestworkers. In 2017, that number rose to nearly 134,000. Employers and H-2B advocates complain that there are not enough H-2B visas to fill their labor needs. The perfect solution would be the creation of a domestic guestworker program. A domestic guestworker program would link job-seeking Americans to employers with labor shortages, without the hassle of procuring an H-2B visa. Temporarily moving into a different state is significantly less expensive than temporarily sponsoring and moving foreign workers across borders. A domestic guestworker program would carry the added benefit of supporting disadvantaged Americans and re-engaging them in the workforce, rather than relying on foreigners who send much of their earnings back home to their native countries. 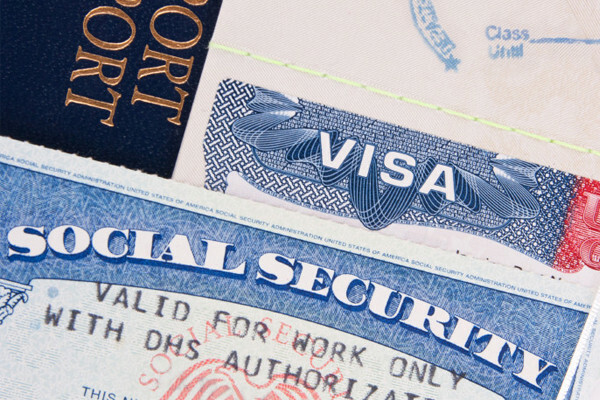 Such a program would not carry numerical limits, unlike the foreign labor programs that all carry necessary caps on the number of available visas. It is likely that employers would not need to dedicate extra resources to overcoming any language barriers between their incoming American guestworkers and themselves. Who could the government target to include in this program? This list, while not exhaustive, would be a good start, keeping in mind that most positions filled by H-2B workers require little experience, few skills, and almost no educational requirements. These are people who would otherwise be routinely ignored by employers, who would prefer to rely on foreign guestworkers. Ex-Convicts. Americans with criminal records struggle immensely to gain meaningful employment after they are released from prison. Barriers to their employment and lack of income can lead to future criminality. Additionally, moving former convicts to new locations for employment can deter them from repeating criminal behavior. It is desirable for ex-convicts to reintegrate into society. What better way to achieve that goal than by procuring them meaningful employment through a domestic guestworker program? Former Addicts. Like former convicts, recovered addicts would benefit enormously from a domestic guestworker program. Given the opportunity to work and live somewhere new provides a fresh start for someone who has battled and recovered from addiction, which is currently a major public health crisis in the United States. Like convicts and the homeless, former addicts need to be integrated back into society so that they can become productive citizens and neighbors. The Homeless. Often poorly educated and low-skilled, America's homeless population would perhaps benefit the most from a robust domestic guestworker program. Such a program could give them a new lease on life and a chance to earn enough money to get themselves back on their feet. They could use the opportunity to move out of dire conditions, learn new skills, and rescue themselves and their families from continued poverty. Tackling homelessness in large cities has been a priority of city administrators and politicians for decades. A domestic guestworker program is a common-sense solution to alleviate this issue and can help them relocate to areas of the country where the cost of living is much lower and where good-paying jobs are plentiful. Struggling Veterans. America has a commitment to help veterans who defended our freedoms through their service in our armed forces. Nearly 6.9 percent of veterans live in poverty, according to the National Veterans Foundation. Many of these veterans gained physical and technical skills by serving in the military and would be a natural fit for positions often filled by H-2B guestworkers. Young Single Parents. Conservative commentator Ben Shapiro often touts to college audiences that in order to avoid chronic poverty, an individual must graduate high school, marry before having children, and remain employed. A 2003 report by the Brookings Institution supports Shapiro's claim. In addressing the plight of single parents, the report's authors noted that "Poverty is concentrated among single-parent families. For families with children, 32 percent are poor if the family is headed by a single parent, but only 7 percent are poor if the family is headed by two married parents. Full-time work would more than halve the very high poverty rate among single-parent families." Single parents often require adjustments to their work schedule so that they can accommodate the needs of their children. The easiest example is to imagine a single mother who has to leave work early so that she can pick up her child from school or daycare. One of the biggest issues with foreign guestworkers is that employers have no incentive to hire a single mother if they can instead hire a less expensive guestworker employee who does not require the same accommodations as the single mother. A domestic guestworker program would ensure that single parents could find themselves meaningful work and actually barter for better conditions, instead of being undercut by employers importing foreign labor who tolerate questionable labor practices. Students. Students are often encouraged to think outside the box and pursue unique experiences that will add flair to their resume and separate themselves from their peers. Nowadays, in addition to corporate internships and study-abroad trips, students are turning to other summer activities such as working as ranch hands or staffing resort hotels. With teen summer employment continuing to fall, a domestic guestworker program could get students and teens back into the workforce in interesting roles while filling the temporary and seasonal needs of employers with true labor shortages. Who Are the Stakeholders and Managers? Like the H-2B visa program, any domestic guestworker initiative would need to be managed by different parts of the government. The process would be much simpler given that it does not involve procuring foreign workers through visas. Currently, employers must apply for and receive temporary labor certification from the DOL in order to receive H-2B workers. Following their DOL certification, they then must petition USCIS by filing an I-129 form on behalf of the future guestworker. Finally, foreign workers must apply for and receive an H-2B visa through the State Department. The entire process requires three federal agencies (DOL, USCIS, DOS) in addition to the work done by immigration lawyers and the companies themselves. A domestic program would bypass this bureaucratic labyrinth entirely. Listed below are the roles that the agencies and other groups would likely play in a domestic guestworker program. Department of Labor. Many of these steps would be unnecessary with a domestic alternative. For instance, DOL would not have to investigate each application to ensure that American workers were not being harmed and that the employers had fulfilled the necessary steps (such as advertising in newspapers) before turning to guestworkers. The Department of Labor would act as the overseer of this new program. DOL would need to enroll employers in the program using a "certified position" model similar to what is currently done for the H-2B program. DOL would also assign the guestworkers to their new employers. State Governments. State governments would be responsible for engaging stakeholders such as churches, nonprofits, nongovernmental organizations, city and county governments, and community leaders to encourage and drive enrollment in the program. An example would look like this: An NGO providing services to impoverished veterans could educate and assist those who are interested in enrolling in the guestworker opportunity through a state program. That program would deliver the list of available and willing guestworkers to DOL. DOL would work to match individuals with an openings in certified positions. Immigration policy, including "nonimmigrant" programs such as H-2B, must be tailored by policymakers to ensure that Americans are not adversely affected by the arrival of newcomers. The H-2B program has not lived up to that promise. Studies show that employers are able to manipulate the system and pay their alien guestworkers less than average Americans. The largest organized labor union in the United States vehemently opposes the H-2B program because it pushes needy Americans out of the job market. The debate over foreign guestworkers arrives at a single question: Who should labor policy support, landscaping companies or Americans trying to re-enter the workforce? Is there a societal benefit when a reforming ex-convict finds meaningful work? Is the community better off when a company gives a struggling single mother meaningful employment? The answer to both is obviously yes. My colleague Mark Krikorian recently argued that "a tight labor market is the best social policy" and that "America wins when employers have to exert themselves to recruit and retain workers." There are available jobs for Americans to fill, but they may not live where the jobs are located. Some of them may not even know that such jobs exist. We already have a program placing foreigners in these jobs. What is stopping us from connecting American workers to these jobs through a domestic guestworker program?